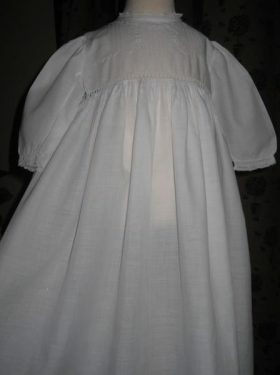 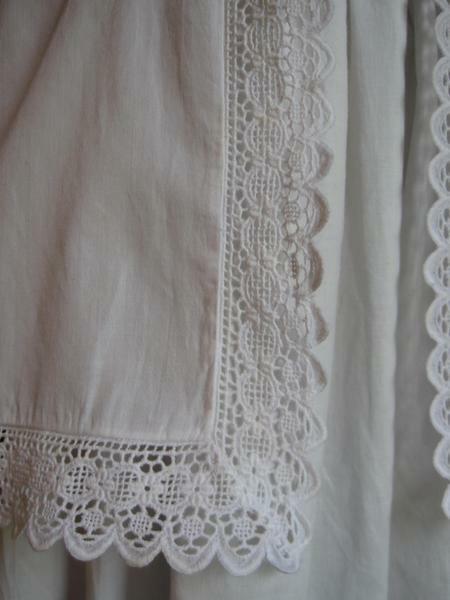 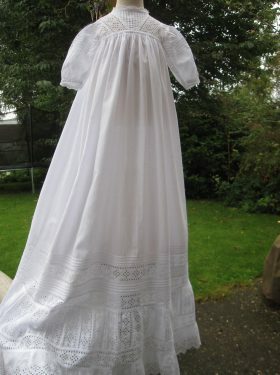 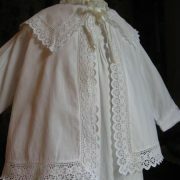 What a delightful find, a gorgeous alternative to a christening shawl or cape. 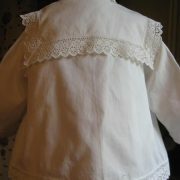 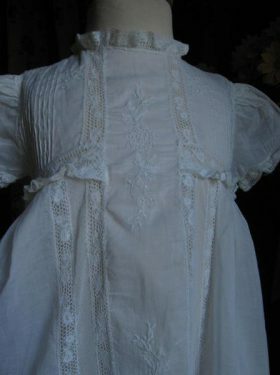 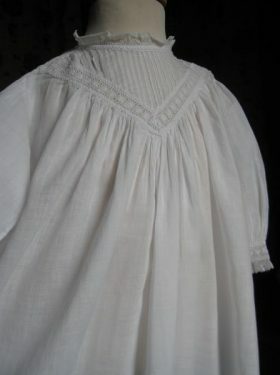 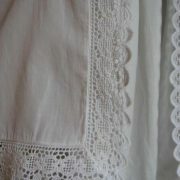 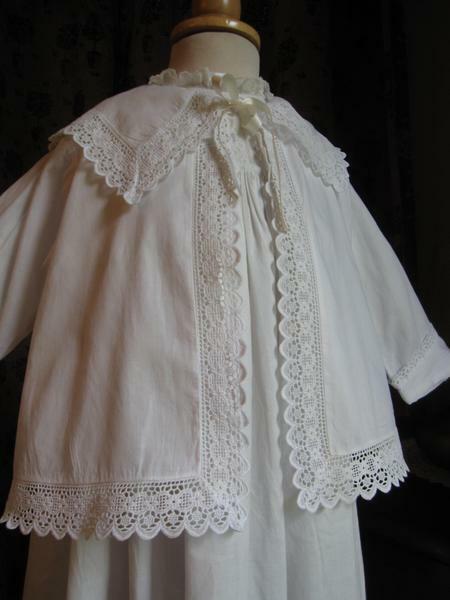 This lovely little cotton jacket is trimmed with delightful picot edges lace around the front, back, sleeves and collar. 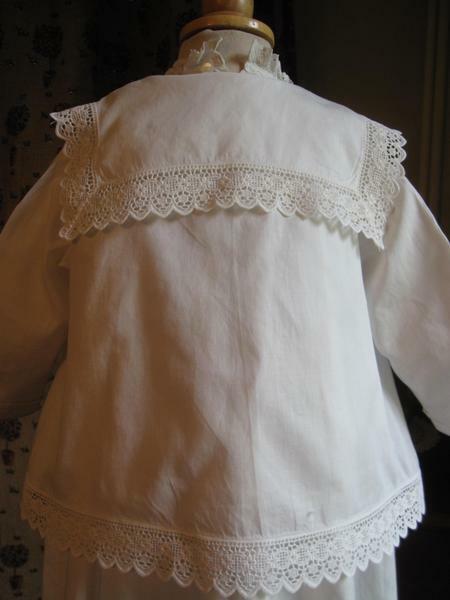 Sheer loveliness in a little jacket.